- Know-how, including not only the quality of training here, but anything can be used as a tool to prepare for each. Hmm ... Many admins dream, but let's see what this implies! First you need to master the foundation of PCs, the hardware that is to dream, and this can be done by the IT Essentials (just Google it! ), Then you have to put up with an operating system designed specifically Computer Networks. For Romania Musa need to master Windows Server 2003, but it does not hurt and even the first certification in Windows Server 2008, that certification will be at least 70-290, 70-291 and 83-640. Then you also need a certificate on the client side where you have three alternatives: XP, Vista and Windows 7. XP is still quite popular, but did not give him more than two years in most companies, Vista ... is the limit, and Windows 7 in size, so I recommend you learn it and take your certification. Ideal is to take as many certifications and get MCSE (messaging, security), go and MCSA, but is recommended to obtain the title of MCITP. Another important requirement of the market in Romania, especially abroad, you databases. And I gotta get my certification as a minimum, and my recommendation is to the detriment of SQL 2008 SQL 2005. I spoke with several bidders at job fairs, and all require the latest version of SQL. The more you specialize more in the database the better. After several Microsoft certifications I noticed that I always hit a problem: the networks. Servers and networks actually have a relationship as close as writing with reading. I do not think you will hire someone without knowing them both. 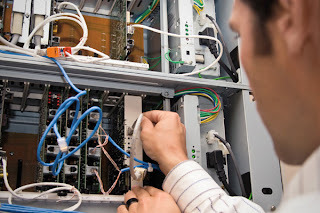 In the networks would be better to step up to join the courses necessary to obtain CCNA certification. Think that's not enough to put up a network, but you must also secure, so leave the way open for CCNA Security. Also note that a tuned network works better than one that just sits on his feet, and if it is a company, company, institution, which has branches around the country or even abroad, you must be aware that a While over the years, it will come and grab you CCNP. Even in our country, it starts growing need: virtualization. Do not go into details, just that I recommend you start with VMware Workstation, then VMware Server (maybe Sphere, ESX, etc.). After you master the best you can start with Hyper-V and Citrix. I think if you hold on to this one will do a miracle, only about certifications ... the Hyper-V and Citrix is ​​simply a certification that does not cost very much, but VMware will they do after classes are recognized by a partner, and these cost a fortune. I think that first course cost only 1,300 euros (excluding VAT). Well, if you want to support your certification exams for you, make you feel more confident in what you can, that's another story. Not need to know more? The more the better, as well as salary. If you started to specialize in what I wrote above I think it will easily take five years (about a college and master) and spend a lot of money. That's why I recommend you start in the order above (OS's, databases, networks and virtualization). A Microsoft certification says you can loose in a month, even next month if I go 10 days dedicated study, 3 days to obtain certification and two for entertainment. It is true that for such a performance must plan your time carefully, learn from home and buy the courses on the net in the form of books or videos (Train Signal, CBT, etc.). Solve a practical part with a virtualization software, and my recommendation is to start with VMware Workstation, VMware Server later with, and so specialize and virtualization. If the processor your computer has a built-in virtualization technology, you have a minimum of 4GB RAM (8GB recommendations may chair 16 GB) and more and implement a RAID solution (even software), then you will give the guts to Hyper-V Citrix. Not so as you organize your home's lab and begin to put the foundation for virtualization? Bingo! As networks, unfortunately you have to do courses with an instructor. For CCNA Academy Credis rest because they recommend the cheapest courses, instructors are encyclopedias and equipment are in abundance. More than that: it can also work out on their equipment and will ensure that the other is feeling when you work on a real router or switch, only one simulated with Packet Tracer. Speaking about the simulation, Packet Tracer software will help a lot, but not to the extent that one can GNS3 (just Google it!). Otherwise ... luck and ability to learn. Some inclined to the web, and more talented people to programming. I suppose you are aware of such horses as he steps from high school and those who work for various applications for operating systems must dream of C + + and / or Java. And for that you need years of study. Only then is shown to you get the specialization in the field of programming. Regarding Web efforts are smaller, much smaller ... Mainly you have to put up with HTML, CSS, Java Script, Flash, PHP, XML, databases, and that's all. Ah ... I almost forgot: Linux is based on a website.